The gutted diesel generator room that powered this missile complex taken from the upper mezzanine. The domed room is 130 feet in diameter and 54 feet high an housed 4 x 1000 kw generators as well as the sites water purification system. 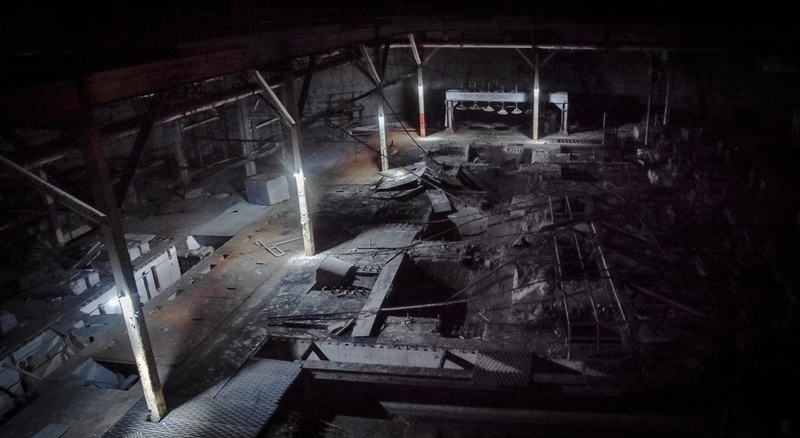 A fascinating image…the eye is drawn into the derelict space. I love the subtle tones with all that detritus from a long gone industry…Very nicely composed, and great light.